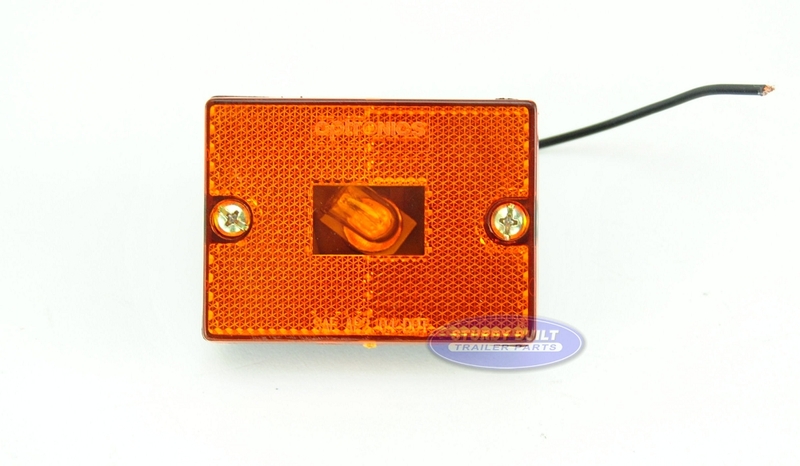 This is a Amber Square Style Clearance and Side Marker Light for your trailer. This light is grounded through the screw that mounts it to your trailers frame. 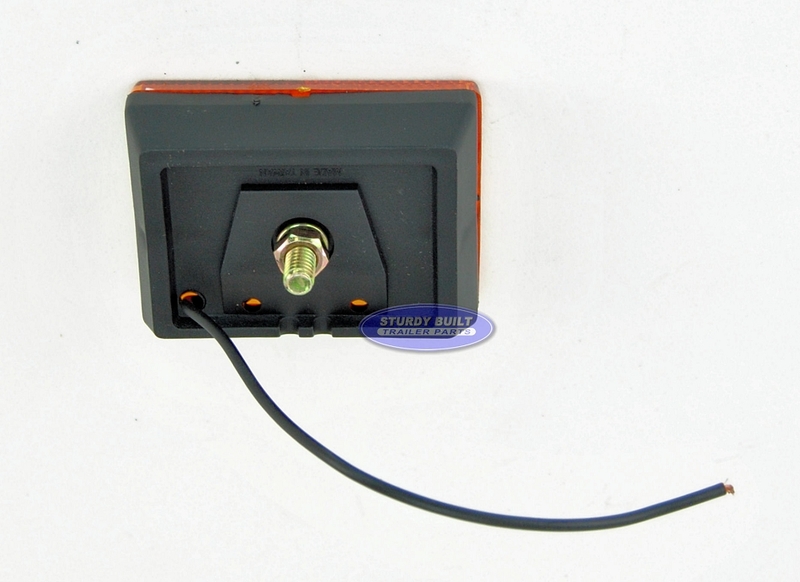 The Single Wire coming out of the light is then hooked into your trailers wiring harness to operate the light. 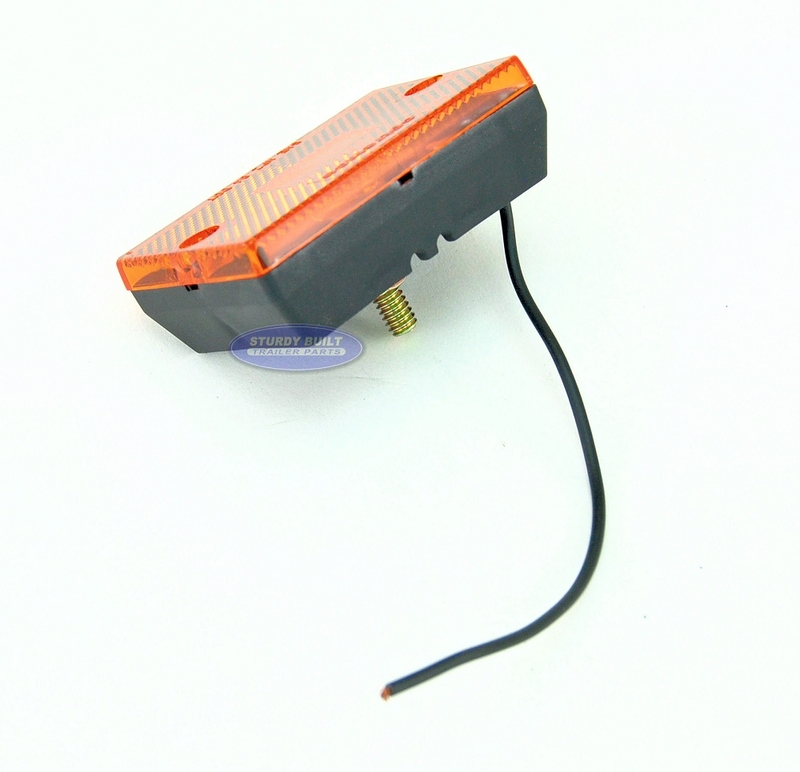 This Style of Light is most commonly seen along the trailer frame, mounted directly to the frame material, whether it be I Beam, C Channel, or Tubing. This light is intended for use on utility trailers as a side marker light. This is not a submersible light for boat trailers.